Horses require regular dentals to ensure their mouths are in good working order. With regular check up’s you can rest-assured that your horse will receive the best dental care. Prevention is better than the cure they say (and cheaper too!) Call us today to arrange your next check-up. When was the last time you had your horse’s teeth checked? If you’re like most horse owners, you may not be aware that all horses should receive a complete dental exam at least yearly, starting from their first year of life. By the time most horse owners recognize that a horse is having trouble eating or is losing weight, their horse’s teeth may be severely abnormal. We offer a full dental service ranging from regular check up’s to dental floats and even professional dental surgery. What are some signs that my horse has dental problems? You may notice that your horse is dropping their food, or not chewing it properly or excessively drooling. Your horse may loose weight or it may be hard to put weight on them. Other signs of dental problems can include excessively chewing on their bit or poor performance or discomfort during riding. This depends on the age of your horse and whether they have any dental issues. Usually horses require a dental to be performed once a year. 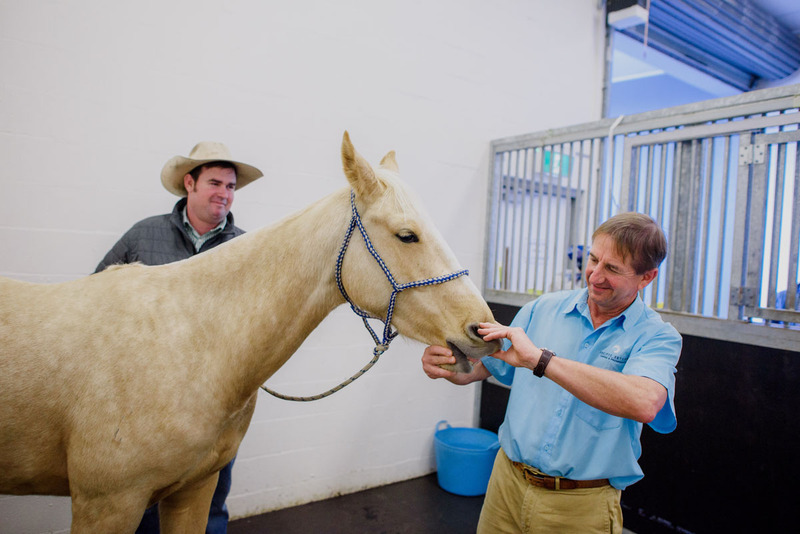 Contact us to arrange a dental consultation so that our horse veterinarians can give you a tailored program to suit your individual horse’s needs.